THERE IS NO DANGER WHATSOEVER THAT YOU WILL LOSE THIS CLIO IN YOUR SUPERMARKET CAR PARK! FINISHED IN INCA YELLOW WITH CONTRASTING BLACK SEATS WITH RED INSERTS. IT HAS HAD JUST 1 PRIVATE OWNER AND COMES WITH A COMPLETE RENAULT MAIN AGENT SERVICE HISTORY. 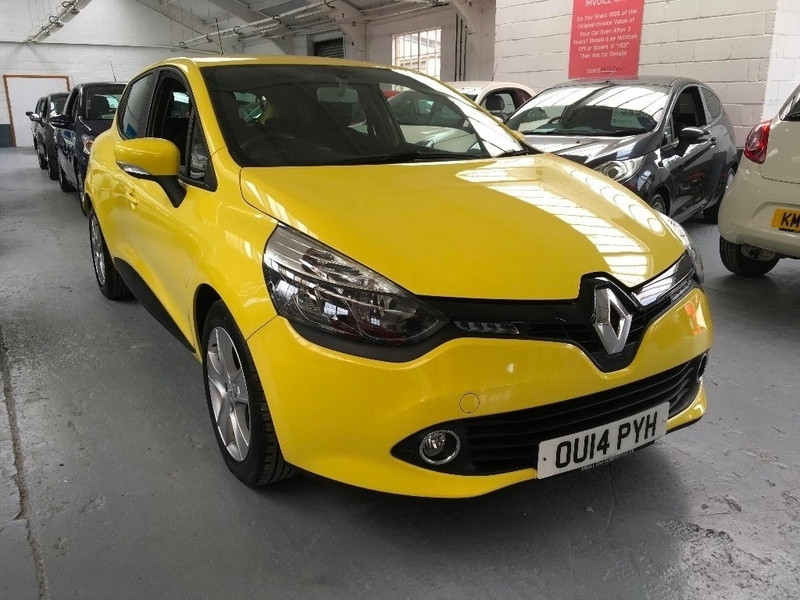 REFINEMENTS INCLUDE BLUETOOTH, USB AND ALLOYS 3 months warranty, 12 months MOT, Full dealership history, Excellent bodywork, Black Cloth interior - Excellent Condition, Tyre condition Good, Yellow, ALL CARS SUPPLIED WITH OUR 12 MONTH MOT AND SERVICE PACKAGE.